We introduce a new three-stage process for calculating the zeros of a polynomial with complex coefficients. 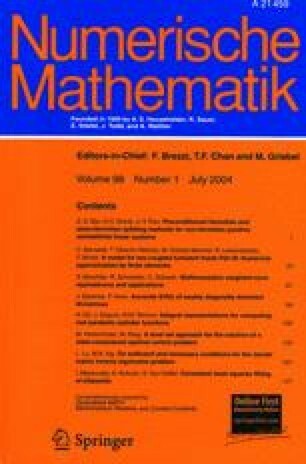 The algorithm is similar in spirit to the two stage algorithms studied by Traub in a series of papers. We prove that the mathematical algorithm always converges and show that the rate of convergence of the third stage is faster than second order. To obtain additional insight we recast the problem and algorithm into matrix form. The third stage is inverse iteration with the companion matrix, followed by generalized Rayleigh iteration. This work was supported in part by the National Science Foundation and the Office of Naval Research.